Smile for your smartphone: Snapping selfies can help boost your mood, a new study from the University of California, Irvine found. … Seeing yourself physically engage in a positive facial expression − like a smile − can decrease stress hormones like cortisol, so you start to actually feel happier and more relaxed, says study author Sanna Ali. Read the full story at Men’s Health. Computer Science Ph.D. student Nitin Agarwal and Informatics Ph.D. student Kathryn Ringland were recently named 2017 Public Impact Fellows by UC Irvine. The fellowships highlight and support doctoral students whose current research has the potential for substantial impact in the public sphere. Read the full story at The Atlantic. Such peer mentoring and so-called “affinity networks” are partly a response to the failures of some traditional mentoring programs, according to Mizuko “Mimi” Ito, a UC Irvine cultural-anthropology and informatics professor, who is the hub’s research director and the co-founder of Connected Camps. While well-intentioned, traditional mentoring programs often match adults, teenage, or college-age volunteers with less privileged youngsters, without regard for a real bond, she said. Sometimes it takes a scientist to tell us what we already know. Academic research is confirming that often bland corporate offices are sub-optimal places to work and can at times drive us crazy. Read the full story at Raconteur. Mimi Ito, a professor in residence with the Donald Bren School of Information and Computer Sciences’ Informatics Department, was recently appointed to a seat on a STEAM (Science, Technology, Engineering, Arts and Mathematics) advisory team by Cartoon Network USA. The team is comprised of fellow academic and creative experts: Zach Klein, CEO of DIY Co.; Karen Peterson, CEO of National Girls Collaborative; Mitchel Resnick, LEGO Papert Professor of Learning Research and Head of the Lifelong Kindergarten Group at the MIT Media Lab; and Diana Skaar, Head of Business Innovation for Robotics at X, formerly Google[x]. 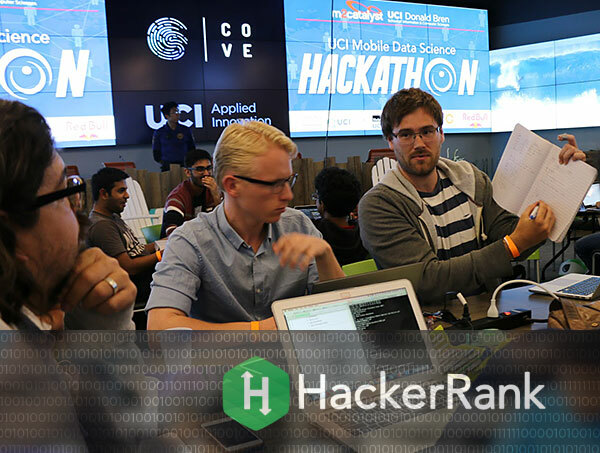 HackerRank, a free coding practice website that allows developers to hone their coding skills by solving challenges, recently conducted an online competition that ranked UC Irvine 7th in the U.S. and 47th in the world for having the best university coders. More than 5,500 students from 126 schools worldwide participated in the University Rankings Competition, which set out to find which universities had the best coders around the world. The universities were ranked based on both number of participants in the competition and high scores; HackerRank’s engineering team then created a formula to rank each university. Check out the complete list of university rankings on the HackerRank blog. Computer Game Showcase highlights undergraduate talent. Students love an opportunity to develop their own games. And develop they did! During finals week, an end-of-quarter project showcase successfully demonstrated the many talents of UC Irvine’s future game designers, many of whom may even enter the fast-growing Orange County industry. Named to the advisory board were DIY CEO Zach Klein; National Girls Collaborative CEO Karen Peterson; Mitch Resnick, a professor at MIT Media Lab; and Diana Skaar, head of business innovation for robotics at X (formerly Google[x]); and Mimi Ito, digital media professor at University of California Irvine. Read the full story at Multichanel News.